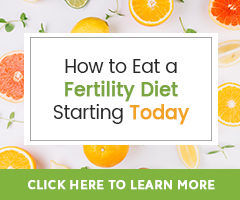 Optimal nutrition is essential for maintaining healthy fertility, but it is also extremely important for pregnancy. Everything you eat will be making your baby’s body. Studies have shown that omega-3 essential fatty acids, found in cod liver oil, not only support healthy fertility, but proper formation of your baby’s nervous system, brain, eyes and heart. Cod liver oil is an essential tool to help ensure you are getting enough essential fatty acids in your diet. Omega-3 fats contain two acids that are crucial to good health: DHA (docosahexaenoic acid) and EPA (eicosapentaenoic acid). These two acids have been shown to be extremely healthy for the body. Low levels of DHA and EPA have been linked to depression and other mental health issues. DHA is essential for proper brain development, while EPA supports healthy behavior and mood. DHA and EPA combined have greater health benefits than taking a supplement with just one of those essential fatty acids. It is important to have a plentiful supply of essential fatty acids before becoming pregnant. Continue to eat fish or take fish oil supplements during pregnancy to maintain optimal health. If your diet contains enough omega-3 EFAs now, your baby’s needed supply will easily be met. If your diet is lacking, your baby will need to draw omega-3s from your own internal stores, which can lead to a long-term deficit that can negatively affect you and your baby’s health. Taking cod liver oil daily helps you to get adequate amounts of omega-3s and build your stores for pregnancy. DHA, one of the fatty acids contained in cod liver oil, has a significant impact on the viability and health of sperm. When there are not enough fatty acids present, cholesterol replaces the needed fatty acid in the sperm membrane. This prevents sperm from proper maturation. By increasing the intake of essential fatty acids through the consumption of fish or cod liver oil, the resulting sperm are healthier, have better motility, and the chances of a successful conception increase. During pregnancy, essential fatty acids are important for your baby’s brain, nervous system, eye, and heart development. DHA is necessary in high concentrations for proper brain function, including proper development and cognitive function. Low levels of DHA are linked to premature birth, low birth weight, and hyperactivity in children. DHA is an important component for a healthy central nervous system. EPA is necessary for a healthy circulatory system. A study published in Pediatrics (2003; 111:e39–44) showed that mothers who took cod liver oil every day in pregnancy and 3 months postpartum while breastfeeding, had more intelligent children than mothers who did not. Other studies are showing that babies born to mothers with high levels of DHA do better with visual acuity and visual learning tests. By optimizing development with an omega-3 supplement rich in DHA and EPA, studies show that your baby will enjoy enhanced attention span and cognitive function after the birth, which will help them learn more effectively as they grow. Having a sufficient level of DHA and EPA in your system is thought to help prevent miscarriage and premature delivery. Premature birth occurs in as many as 6 –10% of births and increases the risk of physical and learning disabilities. DHA and EPA together in pregnancy has been shown to lengthen gestation time. Increasing your intake of essential fatty acids can result in an increased sense of well-being and health for yourself during pregnancy. Omega-3s have been shown to be instrumental in preventing complications in pregnancy like preeclampsia, which can endanger the lives of both mother and baby. It may also lower the risk of postpartum depression after your baby is born. Continuing to take cod liver oil while breastfeeding has been shown to provide adequate amounts of DHA and EPA to your baby. Taking cod liver oil while breastfeeding ensures your baby is getting adequate amounts of essential fatty acids needed for development. Most formulas are devoid of DHA and EPA. Some contain DHA, but not with EPA. DHA and EPA together have complimentary benefits that cannot be achieved alone. Breastfeeding your baby while also taking cod liver oil aids in continued proper development of your baby. Cod liver oil is an excellent source of fat soluble vitamins A and D3. Studies have shown that the typical American diet is lacking in these vitamins. Primitive human diets have been found to have 10 times higher vit. A and D than modern diets. Some studies have shown that consuming too much vitamin A may cause birth defects. This only happens with synthetic forms of water-soluble forms of vitamin A, when consumed in very high amounts. High quality cod liver oil contains fat soluble vitamin A in its natural form. When vitamin A is taken as a whole food source like it is in cod liver oil, it is not toxic to developing babies. When vitamin A is combined with vitamin D, it has been shown that the vitamin D protects the body from vitamin A toxicity. This allows the human body to withstand higher levels of vitamin A. That being said, it is still important to not exceed dosage of cod liver oil and to always follow recommended guidelines on the product label. Besides a healthy diet which includes fish and organ meats, there is no better way to provide healthy DHA, EPA, as well as naturally occurring vitamin A and D3, than with a high-quality cod liver oil supplement. Yance, Donald R., C.N., M.H., R.H.(AHG). (2013) Adaptogens in Medical Herbalism ­ Elite Herbs and Natural Compounds for Mastering Stress, Aging and Chronic Disease; Fish Oil Rich in EPA and DHA: pp. 427-­433. Bastyr Center for Natural Health. (2003) Health Notes­ Cod Liver Oil During Pregnancy Makes Babies Smarter. Murray, Michael T., N.D. (1996). Encyclopedia of Nutritional Supplements The Essential Guide for Improving Your Health Naturally; Vitamin A and Carotenes: pp. 19­-38; Vitamin D: pp. 39-­43. ; Essential Fatty Acid Supplementation: pp. 249-­278. New York: Three Rivers Press. Thank you for providing such helpful information. Would you recommend 3-6-9 Omega supplements/ Borage Oil/Evening Primrose Oil/ Cod liver Oil to be taken while trying to conceive and during pregnancy? And for how long are they safe to be taken? Omega 3-6-9 supplements, Borage Oil, Evening Primrose Oil and Cod liver Oil can all be consumed while trying to conceive. It may not be necessary to take an Omega 3-6-9 supplement along with Borage and Cod Liver Oils however. Often the omega 3 sourse in an Omega 3-6-9 supplement is Cod Liver Oil. Flax is often a source of omega 3, omega 6 and omega 9, and Borage oil is a source of omega 6s. So, look at your Omega 3-6-9 supplement’s ingredients to know it that will give you Borage and Cod Liver oil already. Cod Liver oil is the only EFA that can be continued in pregnancy. Borage, Evening Primrose and some say Flax oil aren’t suggested in pregnancy. Hi! I’ve heard cautions about cod liver oil recently, as the A:D ratio is too high, and it can be easy to get toxic fetal amounts of vitamin A, especially cumulatively over time. (Symptoms are nausea, which isn’t very helpful for pregnant women.) Can you address this? We know that vitamin A consumed in moderation from whole food sources like Cod Liver Oil (spinach, carrots, squash, sweet potatoes, broccoli, apricots, pumpkin and liver (animal and fish), milk and eggs), or a whole food multivitamin is not known to increase risks of birth defects. We cover this and more, including a healthy dose of vitamin A, in our article Is Vitamin A Dangerous for My Pregnancy and Baby?.